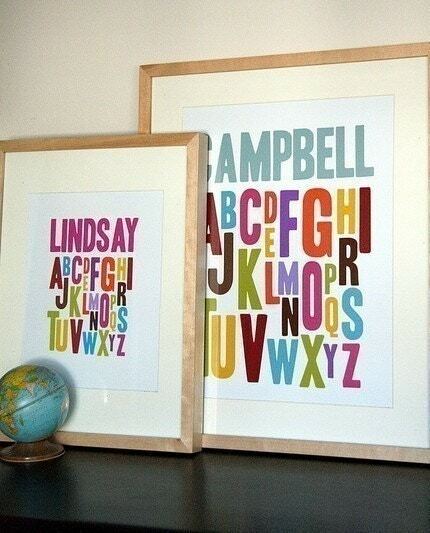 These gorgeous alphabet prints by Penny People Designs are the type of find that I want to share and keep to myself all at the same time. The prints come in two sizes and fit into an IKEA Ribba frame which makes framing so simple. Until April 3rd, for every 13×19 print that you buy, you will get one free. That’s a $25 saving! Shipping is $13, but will include as many prints as you like. To take advantage of this promotion, go to the online store and only place in your cart, the amount of prints you would like to buy. Upon checkout, enter the promotion “Buy1 Get 1 free” in the notes to seller, as well as information about how you would like to personalize your free print(s). Please note that everything on Etsy is in US funds. The Honda recall that you may have recently heard about, affects 24,680 Odyssey minivans and 4,137 Element sport utility vehicles from the 2007-08 model year in Canada. The recall follows complaints that brake pedals begin to feel “soft” or have to be pushed lower and lower over time before the vehicle would stop. The problem is very gradual and Honda claims that this is due to air leaking into part of the anti-lock braking system over a period of months or even years. So…nothing sudden to worry about, however you may want to contact your nearest dealership for more info. I sorta wish that the recall would include auto detailing. My Odyssey is a direct extension of our family room and kitchen. Get a free pastry with your coffee or iced drink until 10:30 am on Tuesday, March 23rd. Click on the image in order to print your coupon! I am so addicted to my iPhone. I don’t own many apps – I just use it in order to get my e-mail, look up the weather in cities that my friends are frequenting (hoping that they are as cold as I am)…and keep my kids from having tantrums. As #3 is due any day, my next technological investment just might have to be…The Cry Translator. I remember this being discussed on Oprah. Apparently, there are five distinct cries made by infants: hungry, sleepy, annoyed, stressed or bored. These five cries are universal to all babies regardless of culture or language. The translator is an iPhone application that reads your baby’s cries and translates his/her needs withing 10 seconds.